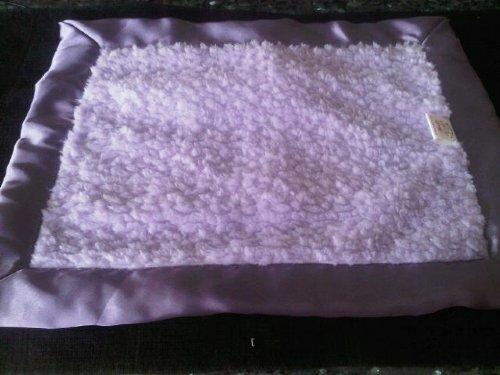 Beautifully contrast of our Lavender Chenille Munchkin with Eggplant Satin Travel Silkie! Your baby will love the soft and supple fabrics of our colorful Travel Silkies. Perfectly sized for little hands, this machine-washable Travel Silkie will become the security blanket prized by your child for years. This blanket is completely backed AND trimmed in silky satin, giving baby a feeling of security and comfort while on the go. Consider getting two so you can delight baby at home or on the go! Measures 15"x18"